Bird watchers — steady your binoculars. A rare snowy owl invasion is gripping Toronto for the first time since 2013. “It’s not every year we get a healthy population of snowy owls,” said Lee Earl, program specialist for Don River Valley Park. Earl leads “owl prowls” in the east-end park and says bird watchers are spotting “snowies” in huge numbers this winter. “It’s a really exciting time of year when we get to see these visitors,” she said. 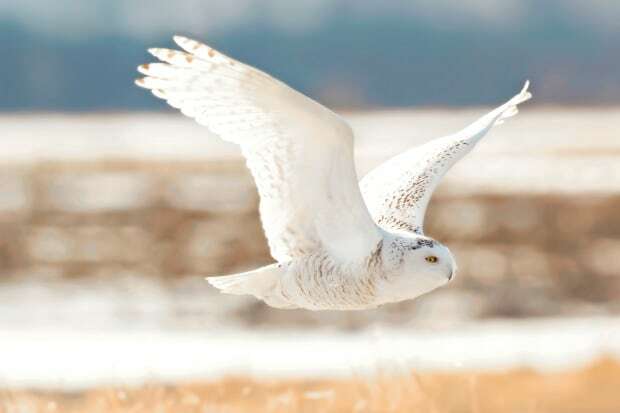 The sudden population boom and southern migration of snowy owls in record numbers is called an “irruption,” says Karen McDonald, manager of restoration projects for the Toronto and Region Conservation Authority. She explains irruptions are a “very unpredictable” phenomenon and often align with booms in prey. “We don’t fully understand why snowy owls irupt year-over-year, but more information is pointing to the fact that food abundance results in larger clutch sizes,” McDonald said, noting that snowy owls typically lay three or four eggs, but this past breeding season nests contained eight or nine eggs. The largest invasion of snowy owls ever recorded in southern Ontario happened five years ago. During this winter, the predatory bird was even seen as far south as Florida and the Caribbean Islands. “This is pretty unusual,” McDonald said. Similar numbers are expected this year, according to Kevin Kerr, curator of birds and invertebrates at the Toronto Zoo. “We see them down here, further south, in small numbers each year, but every few years, in an irruption year, we see great numbers of them showing up … sometimes well beyond their normal range,” Kerr told CBC Toronto, adding this typically happens every four to five years. Snowy owls typically weigh between 1.6 to 3 kilograms and are one of the largest species of owl. They live in northern Canada during the summer where they feed on lemmings, a mouse-like rodent found in Arctic regions. Lemmings have a “cyclical population,” meaning their numbers “will spike and then crash,” says McDonald, and biologists believe this has a direct impact on the population of snowy owls. The northern bird heads south in search of food during the winter months — between late October and early March. “The thought is that these animals are probably starving up on their normal breeding grounds and so they’d head down further south looking for food,” said Kerr, noting this typically consists of small rodents or waterfowl in the area of the Great Lakes. Don’t look for these owls in the forest, says Kerr — they stick to tundra-like areas in the city, such as large fields or airports, where there are lots of rodents they can feast on. “It might look like a winter wonderland,” he said. Bird watchers can spot them in places like Tommy Thompson Park, Don River Valley Park, Downsview Park and Pearson International Airport.